© laurent dambies – Fotolia.com All rights reserved. For a hundred years, it was one of civilization’s dirty little secrets: The most common form of myopia (nearsightedness) occurs almost exclusively in industrialized societies. (See Myopia: Room Light In Early Childhood and Nearsightedness.) Whether or not these researchers have actually found the most important source of environmentally caused nearsightedness, at least they’ve broken the longstanding silence about it. compulsory education, avoided studying the issue and instead resorted to denial. The problem was purely genetic, we were told. To say otherwise was to commit the modern equivalent of heresy. and reading books caused the eyes to be unable to focus at a distance. Any public discussion of the problem might affect parents’ attitudes towards compulsory schooling. For decades, those few academics who dared to confront the issue were ostracized by their colleagues. The credibility of some, such as Donald Rehm, depended less on the veracity of their techniques than on their courage in standing up to a blatantly lying scientific establishment. No doubt some of the very scientists who were aware of the problem but dared not discuss it were secretly trying Bates Eye Relaxation methods or buying Rehm’s optical devices for use on their own children. But the red herring of compulsory education had its basis in fear, not fact. As is so often the case when an answer eludes, the right questions were not being asked. For one hundred years science failed to find an answer to the cause of nearsightedness because it never asked. What little study was done confined itself to the effects of children doing close work, and once it was apparent that this didn’t fully explain nearsightedness, the issue was considered closed. With compulsory education largely vindicated, there was a collective sigh of relief. Science gleefully declared myopia to be a matter of genetics and confined its work to designing corrective lenses as crutches for the afflicted. The question of why pervasive myopia occurred only in industrial societies had not been answered, but the heretical question could no longer find a voice. Uncomfortable with the issue, scientists simply avoided it. Five generations of children had their eyesight permanently damaged and were told it was because they were genetically inferior. 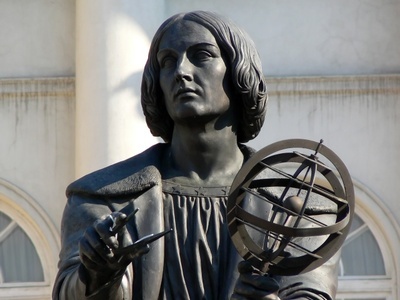 We like to think things have changed since the days when Copernicus and Galileo came under pressure for challenging the religious establishment’s view of astronomy. But things have not changed much if modern science can make such an expensive and cowardly error as this. The case of environmentally caused myopia illustrates that until a heretical silence is broken, it is difficult to assess its cost. But human suffering is the most likely result whenever science cowers under the charge of heresy. The fear of researching myopia has been broken. For more info see: Medical Detectives Focus OnnMyopia.